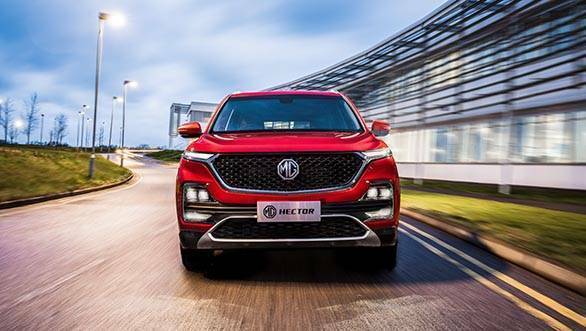 Morris Garages India is set to roll into India with an all-new SUV named the MG Hector, with a launch expected in May. Before that, its Drive.In event gave us a look at what the connected car infotainment system is. At the heart of the technology is a 10.4-inch vertically oriented touchscreen, which carries the natively developed iSmart interface. 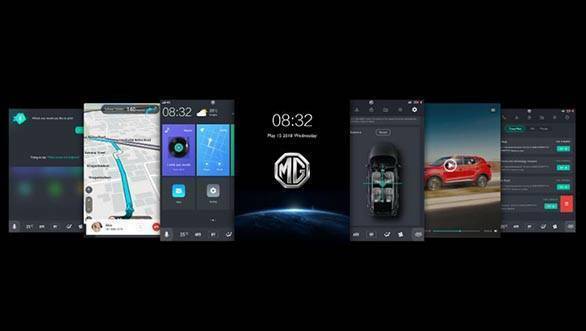 Apart from the expected levels of smartphone integration, with Apple and Android connectivity, the infotainment also offers a few segment-firsts which have been tailor-made for the Indian market. The onboard SIM card, which is 5G ready, provides network connectivity to all the peripheral functions, such as the real-time navigation, internet based entertainment and music apps, and the voice assist system. MG, in partnership with Nuance, claims that the voice assist system will be able to provide major voice assistance, even in areas of low network connectivity. This is thanks to its hybrid computing technology, which doesn't rely on only cloud-based information for functionality. Further, the voice assist system is said to respond to over 100 voice commands, and even recognises Indian-accented English. The onboard navigation has been developed in partnership with TomTom, and offers real-time traffic updates, and automatic updation of relevant routes. Gaana has partnered with MG India to provide its music service, which has been optimised for the infotainment screen size. 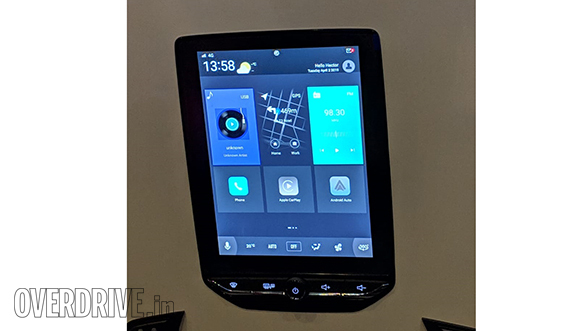 The system also offers integration with the iSmart app, which the owner can use to remotely open/lock the vehicle, run the air-conditioning and keep track of vehicle specifics like tyre pressures. PulseHub is a one-touch connection to MG India's assistance centre, available 24*7.